Cal-OSHA Heat Illness Prevention is intended for employees that work outdoors, in conditions that induce heat stress and heat illness. The course will also familiarize the student with the basics of heat stress awareness, symptoms, illnesses, preventive measures, and medical surveillance. This course is intended to familiarize the student with the basics of the Heat Illness Prevention standard. Meet the training requirements of 8 CCR 3395(h) and the General Duty Clause for heat illness prevention. Demonstrate environmental and personal risk factors for heat illness including job function, clothing and Personal Protective Equipment (PPE). Demonstrate an understanding of what steps can be taken to prevent heat illness including employer-supplied equipment including water, shade, rest breaks, and first aid. Identify how acclimatization can reduce the impact of high temperatures. Understand how to work with emergency medical services if a heat illness occurs. 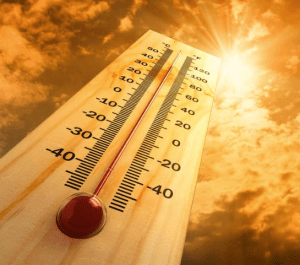 Understand supervisor responsibilities including the same as employees, but also what action to take if an employee has a heat illness, emergency response procedures, and monitoring local weather. You will need a computer or iPad with internet access and an email account. You will also need to make sure your flash is enabled. No text is required; all course materials are available online. The course will take approximately 30 minutes to complete. You can download the course if needed also.